Future Chefs prepares teens for successful life and work after high school. Our Future Chefs teens work hard in the kitchen and use this training as a foundation for a broad range of academic and professional careers. Our conviction is that the hard and soft skills learned in the kitchen can be applied meaningfully in all avenues of a fulfilling life. 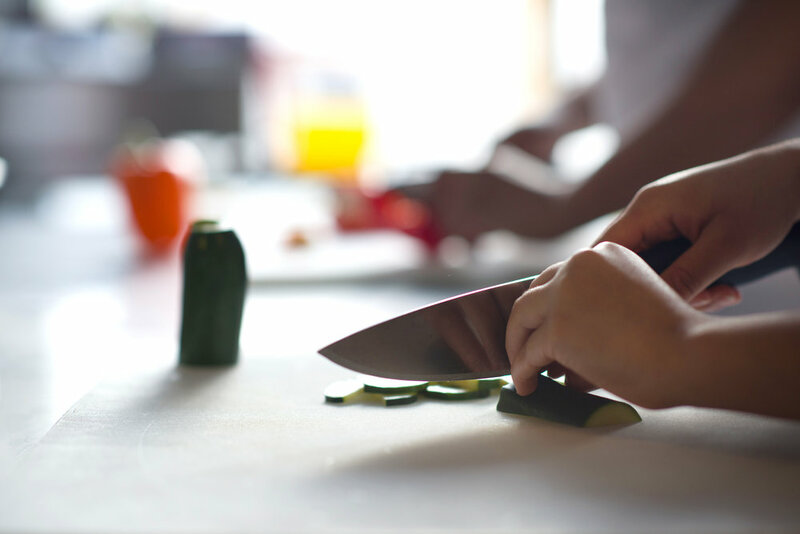 Future Chefs offers three programs that are completed sequentially: during high school, work and service for youth, and after high school graduation. Each program includes comprehensive professional and life skills training, coaching from industry experts, and support to pursue a broad range of professional culinary careers. For high school sophomores interested in exploring culinary careers. Includes a once a week class at after school, as well as, workshops, and industry events. The program culminates with a team-based project. A two year program that begins after FC Prepares. Includes year round paid work with the support of staff, chef demos, social/emotional learning, and planning for work and life after high school. For students who have graduated from high school and completed the FC Delivers program. Participants receive individual ongoing support for two years after high school as they put their plan for work and life into action.